When it comes to hearing loss, many of us may be misinformed, ill-informed, or may know nothing at all! This could be due to the fact that hearing loss has a certain social stigma in the world that prevents us from learning more about the health condition. What you probably did not know is that it is third most common health condition in the U.S. and is more prevalent than diabetes or cancer. You also probably may not know that everyday noises such as traffic, power tools, or even loud sporting events can damage our hearing ability depending on how long we’re exposed to them. And lastly, did you know that loss is considered an “invisible” health condition because it is not easily distinguishable or identifiable unless someone with hearing loss informs us that they have hearing loss? The majority of us know very little about hearing loss, so the following highlights things people with hearing loss we all know. Hearing takes work when you live with hearing loss. Those with normal hearing may not think twice about this because hearing is automatic for them. But no matter the environment – a regular work day or a night out on the town with friends – straining to hear takes a lot more energy for those with hearing loss. Someone living with hearing loss has to exert extra effort in making sense of distorted sounds and or words and turn them into full phrases or sentences, while also keeping up with the full conversation. This effort becomes exhausting. If you find yourself engaging with people with hearing loss, be patient, slow down, and be sure to repeat what you said if necessary. This helps someone with hearing loss greatly. Knowing how tiresome and exhausting it is for those with hearing loss to engage in conversation, we should be more cognizant of other things that are attached to communication as well. For example, it’s best not to jump to the conclusion that someone with hearing loss is unintelligent just because they say something inappropriately to our question or misses the main premise of the conversation. More likely than not, they had trouble hearing and making sense of the full context. Likewise, if someone with hearing loss did not say “thank you” or “excuse me” in certain settings does not mean they are rude. Jumping to conclusions often leads to conflict and misinterpretations; this also applies to communicating with people with hearing loss. Unlike a pair of glasses that instantly improves someone’s vision, hearing aids do not function the same way. Where eyeglasses turn a blurry image into a clear one, restoring your vision to almost normal, hearing devices function as a mechanism to assist irreversible hearing loss. Hearing aids are extremely useful in improving the hearing ability of those facing hearing loss by amplifying sounds, block background noise, and help process sounds, but they don’t bring one’s hearing back to normal. Knowing this information greatly helps in how we converse with those facing hearing loss. It’s important to remember that those living with hearing loss have their own voice. Just because someone with hearing loss may have missed a question doesn’t mean you should speak on their behalf. They have their own view and opinions that we should not silence. Speaking for anyone else, hearing loss or not, can be insulting and demeaning. So, keep in mind next time you’re engaged in conversation with someone with hearing loss: never speak for someone with hearing loss and let them speak for themselves. If they failed to answer a question, allow time for the speaker to repeat the question. Now that you know several concerns that people with hearing loss may have, these following tips can even further improve communication between the two of you. The first step is to be patient while engaged in conversation as those with hearing loss may need more time to process what’s being said. Be clear and concise while speaking is important, and if need be, repeat yourself. Be sure not to block your face as those with hearing loss rely on facial expressions and non-verbal cues. And finally, when trying to gain attention, be sure you’re face to face with them. Incorporating these tips into conversation with someone with hearing loss will greatly improve the communication. Are you or a loved one straining to hear? Is your hearing clarity lower than it once was? If so, know you aren’t alone. Beverly Hills Hearing Center is here to help. 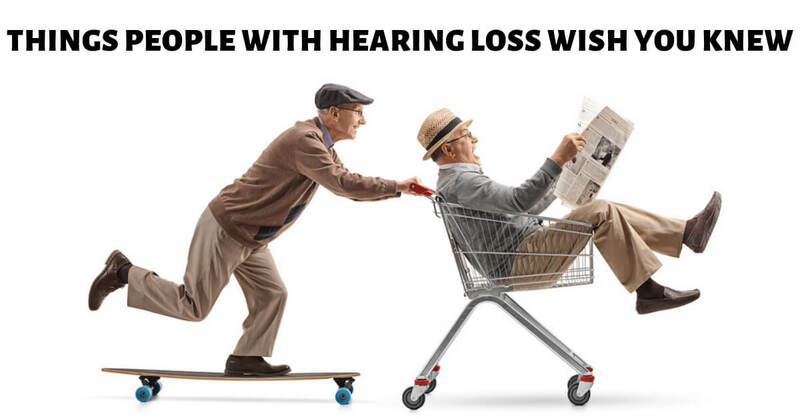 Reach out to us for a hearing test today and be on the path towards a healthy hearing life. Our hearing health professionals will be able to guide you throughout the process, from testing, assessing hearing ability, to necessary treatment. Call us today!